This week, BISSELL Australia launched their brand new immersive and interactive website featuring a fresh new Responsive Design that will mean all website visitors get the same quality presentation on any device. 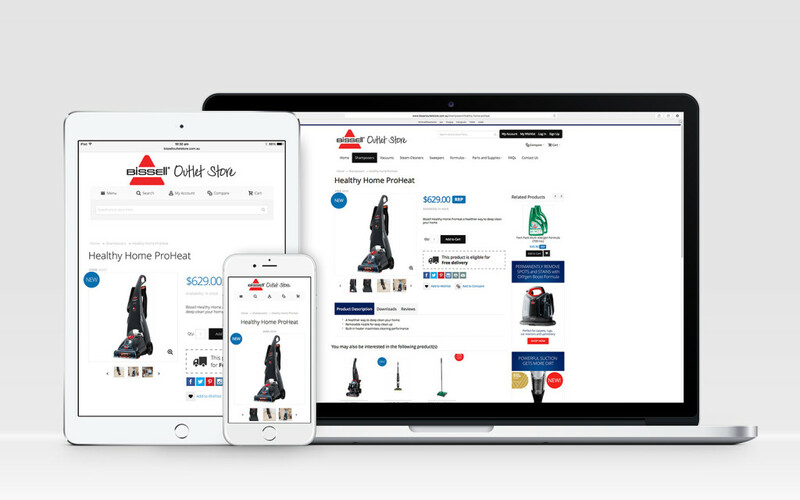 BISSELL ’s new Australian Outlet Store website sits on a Magento platform, which adds greater flexibility, scalability and customer satisfaction. Webtron have been working around the clock to take BISSELL’s old site and to redesign its entire infrastructure, giving the website a completely functional, innovative and interactive look and feel. BISSELL’s new eCommerce feature will be a great long-term investment for the brand as well. Keep an eye on this space for some more exciting New Websites in the coming weeks. Or chat to Webtron if you’re after a website of your own.